Kichler Low voltage dual professional 2-in-1 electronic transformer has a primary voltage rating of 120-Volts and secondary voltage rating of 12-Volts. It has a power rating of 600-Watts for efficient performance. This electronic transformer has stainless steel finish and construction for corrosion resistance and durability. The transformer has 36-Inch lead wire for connection. This transformer measuring 6-Inch x 6.62-Inch x 22.63-Inch, includes mounting plate for ease of mounting. 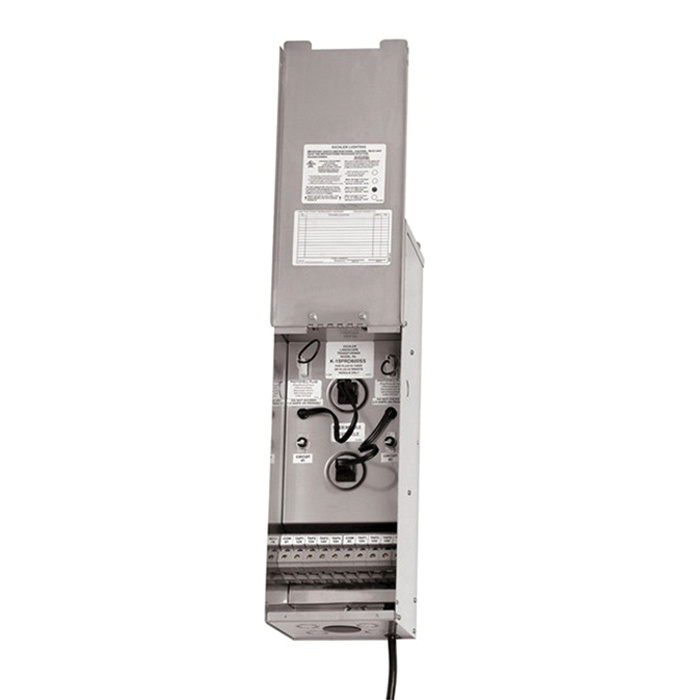 The professional electronic transformer meets UL and CSA standards.